This plaque is on 13 Norham Gardens. and the motto “Æquanimitas” (equanimity). 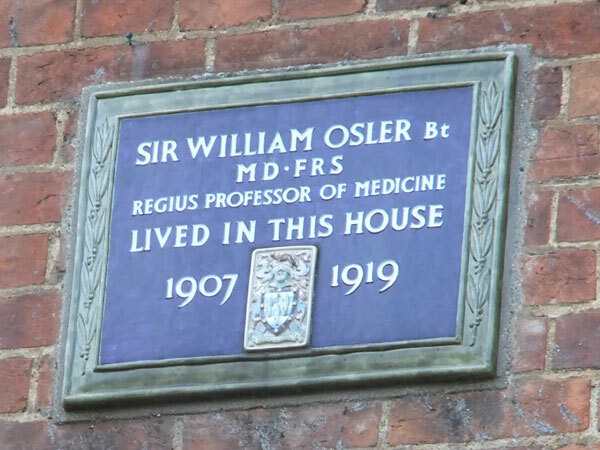 William Osler (1849–1919) was a Canadian physician who in 1905 was appointed Regius Professor of Medicine at Oxford, a post he held until his death. He was also a Fellow of Christ Church. 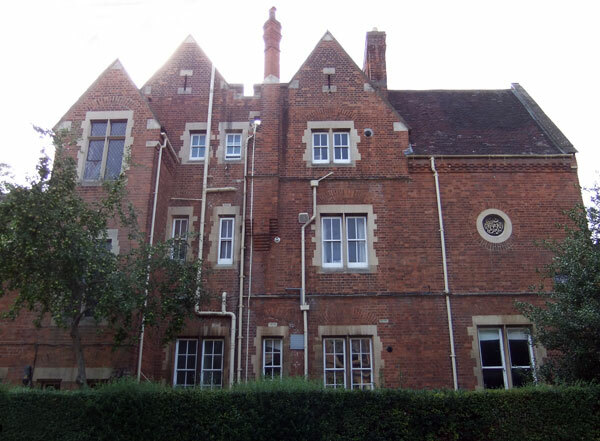 The 1911 census shows William Osler (61) and his American wife Grace Renée (56) living at 13 Norham Gardens (right). They stated that the house had 19 rooms (excluding bathrooms), and they had five servants living with them: a butler, cook, housemaid, parlourmaid, and kitchenmaid. They had two sons: one died shortly after birth, and the other (Edward Revere Osler) at the Battle of Ypres in 1917.